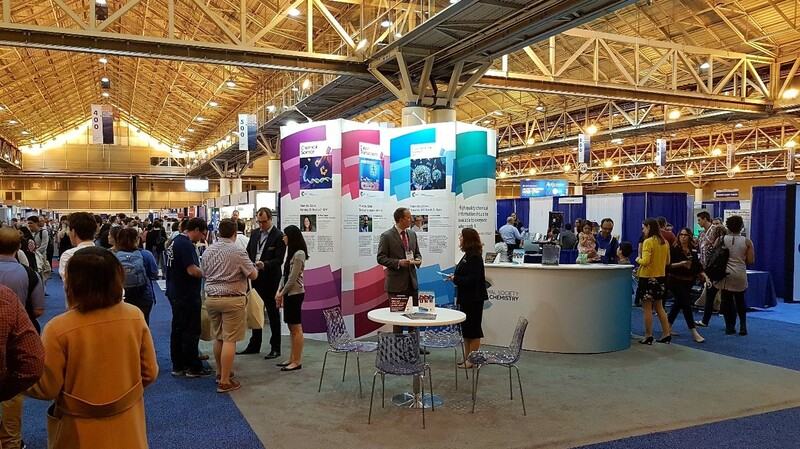 We always enjoy meeting new people and catching up with familiar faces at ACS National Meetings, most recently in New Orleans. We packed our schedules with talks during the day, learning about the latest and exciting developments across the chemical sciences. 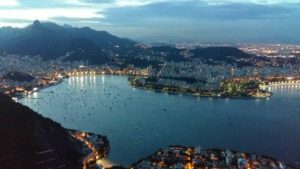 Many of us attended sessions related to the Nexus of Food, Energy, and Water theme, which also aligns with the global challenges the RSC aims to support. It was a good opportunity to congratulate Chemical Science Associate Editors Professors Kit Cummins and Mircea Dinca at MIT in person as they received ACS awards for their achievements. 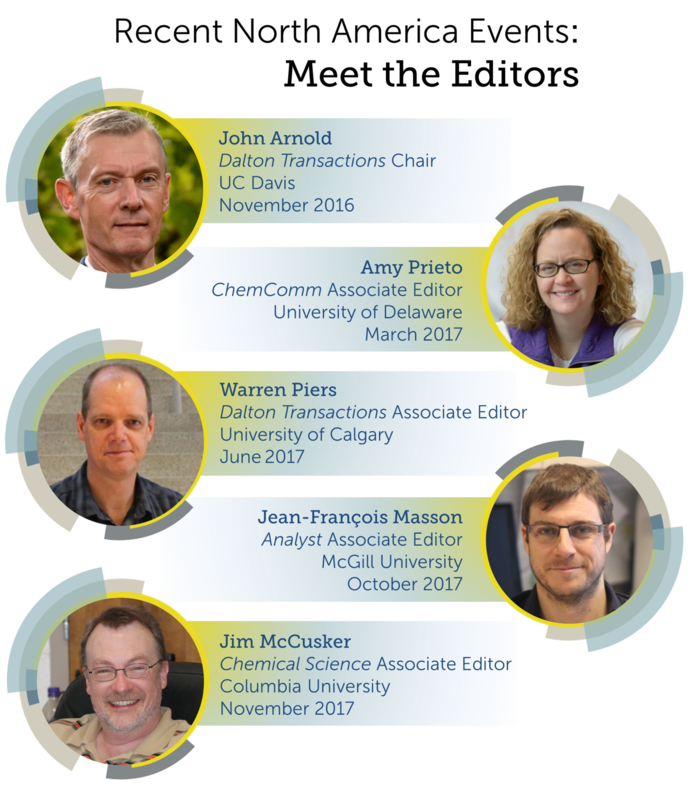 Editor-in-chief Professor Daniel Nocera, Executive Editor Dr. May Copsey, and many other Chemical Science Board members discussed some exciting developments for our flagship journal – stay tuned for updates on the website and learn more about the Associate Editors! 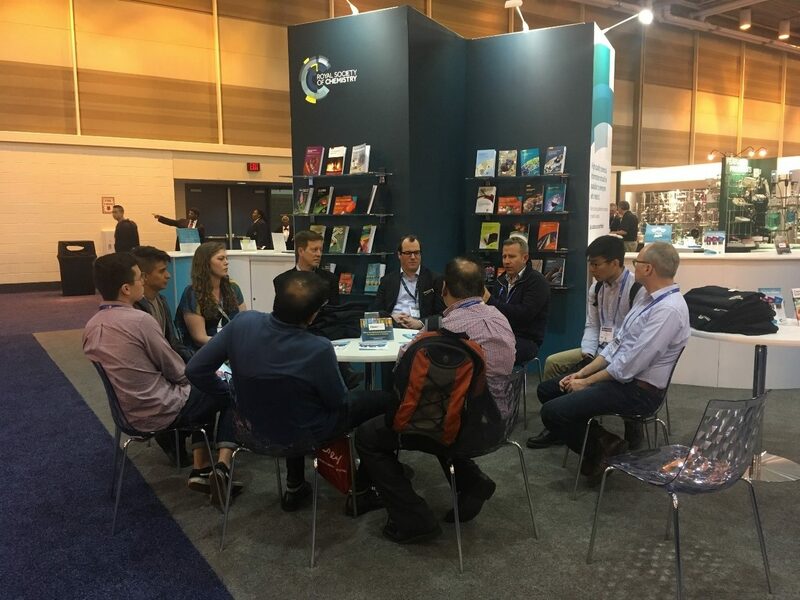 Dr. May Copsey, Executive Editor for Chemical Science, Dr. Sam Keltie, Executive Editor for the Environmental Science journals, and Dr. Jenny Lee, Assistant Editorial Development Manager, meeting attendees at the RSC booth during opening night of the Expo. While it’s challenging to keep up with the conference programming, we wanted to spend some time to meet conference attendees at the booth and organize separate gatherings. Larger conferences are great since colleagues travel from our Cambridge, UK office. The Meet the Editor event involving Executive Editor Dr. Sam Keltie and the Editor-in-chiefs for the three sister Environmental Science journals was a nice chance to talk about publishing, and to also continue the conversation with the environmental chemical sciences community during happy hour. Meet the Editor event with Dr. Sam Keltie, Executive Editor of the Environmental Science journals, Prof. Kris McNeill, Editor-in-chief of Environmental Science: Processes & Impacts, Prof. Peter Vikesland, Editor-in-chief of Environmental Science: Nano, and Prof. David Cwiertny, Editor-in-chief of Environmental Science: Water Research & Technology. We also were glad to connect with a few RSC Advances Associate Editors, Editorial Board member Professor James Batteas, and Executive Editor Dr. Andrew Shore where we discussed ideas to continue developing the latest Gold Open Access option within the RSC journals. While these are only a few highlights of all the events we organized throughout the conference, we appreciated the many opportunities to hear everyone’s thoughts to guide our future activities. RSC Members’ Reception with Dr. Guy Jones, Executive Editor for Data, pictured in the foreground. We’d love to meet you at a future ACS National Meeting – you can usually catch most of us at the booth on the opening night of the Expo so we hope to see you soon! Delegation photo at the closing ceremony…. ….. ……….. …………….. The program was structured around short balanced talks with time for discussion. Questions were rich during sessions and inspired insightful ideas. The mix of young researchers (including students) and experienced ones contributed to a great exchange of knowledge. Around 60 posters were presented with incredible quality according to the judging committee. We presented three from our journals Lab on a Chip, Analyst and Analytical Methods. Congratulations to the winners! 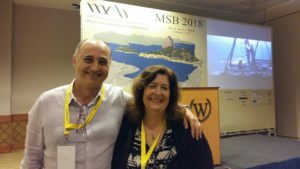 Letícia and Víctor, two of the three recipients of RSC poster prizes.…………………………………… ….. The conference chairs, Profs Emanuel Carrilho (USP in São Carlos) and Marina Tavares (USP). 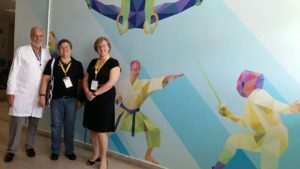 Prof Radler, Elizabeth Magalhaes and Janet Freshwater (RSC Books) during the LADETEC visit. The students chose from one of two prize options – either a hard copy of the classic reference text, The Merck Index® now in its Fifteenth Edition or a 6-month digital subscription to Chemistry World magazine. Since its first publication in 1889, The Merck Index® has become an essential reference for all scholarly and professional chemists, biochemists, pharmacists and toxicologists, of interest to students, teachers, libraries, researchers, information professionals, solicitors, journalists and government agencies – it has been the leading source of information on chemical compounds for generations of scientists and professionals. Recognized as a badge of achievement and dedication on the bookshelves of chemists worldwide, this formidable title continues to serve as the symbol of an early scholarly and professional milestone. For many of these outstanding undergraduates, receiving the text represents the closing of one chapter in their education, and the beginning of the next phase of their scientific careers. This year, we’re happy to announce that the program will continue for 2018 and invitations to nominate exceptional undergraduates will be sent to select institutions at the beginning of February. We’re working to expand the program in the future and look forward to recognizing more deserving students.  For any questions or comments about the Certificate of Excellence, contact us at americas-editorial@rsc.org. Members are a vibrant part of the chemical sciences community and our office enjoys all our interactions. There are over 54,000 RSC members around the world, from students through distinguished Fellows. The USA East Coast Local Section aims to support members and extend the professional experience. Towards this goal, they actively organize opportunities related to the practice of chemistry so members can connect throughout the year. At a recent November meeting, Professor Roger Barth visited from West Chester University to give a talk entitled “Fermentation and the Origin of Biochemistry.” He described the historical aspects of biochemistry and related glycolysis to alcoholic fermentation, which he elaborated in his book, The Chemistry of Beer: The Science in the Suds. Everyone enjoyed the evening mix of science and dinner with a chance to catch up with friends and expand networks. 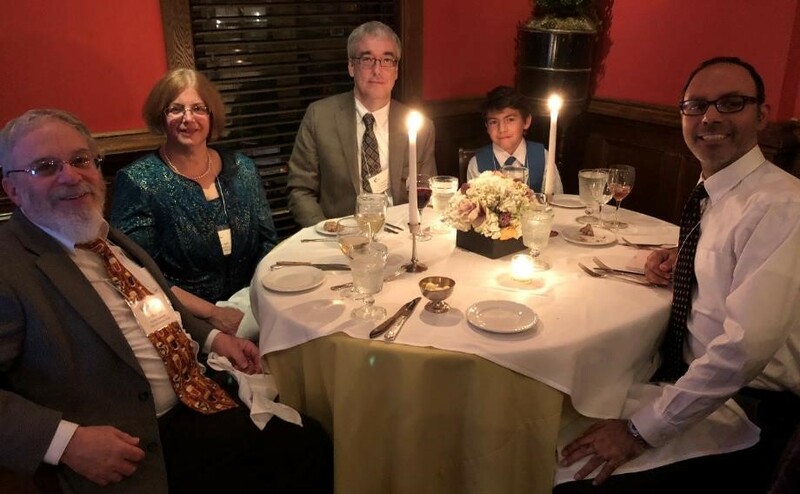 Dinner in New York City with speaker Dr. Roger Barth, Mrs. Barth, Section Past-President Dr. Les McQuire, Harrison Bagga, and Section President Dr. Kishore Bagga (L to R). Kishore Bagga, PhD, MRSC, President of the USA East Coast Section, enthusiastically presented the section’s initiatives, welcoming ideas and collaboration with other scientific professional bodies. He took time to share some of his personal experiences as an RSC member with us. Why did you decide to become an RSC member? When I recall back to my undergraduate years, I enjoyed meeting other people who were interested in chemistry. 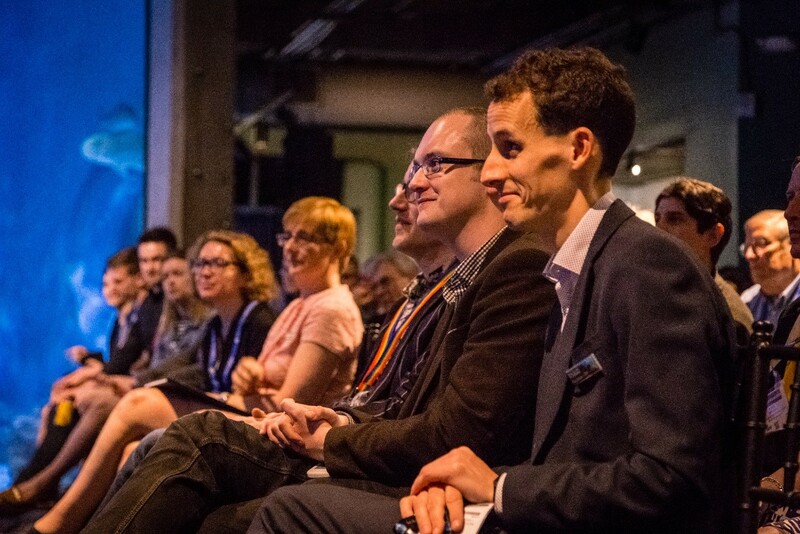 I saw joining the RSC as an opportunity to network with others in the field, to present my work, as a social and career platform, and career advice to name a few reasons. I really liked the idea to belong to a learned professional society as a way to start my career. It gave me a chance to hear from other scientists for example by attending the local section meetings. I did not know that I would enjoy attending meetings and serve, so much that one day I would have the opportunity to be the first Indian American to serve as President of the US Section. At this stage, I like to give some of my time back to my society so that others can benefit as much if not more than I do. The current meetings which we hold also allow for a social aspect besides the scientific presentation, allowing for friends to meet again for the evening. In a way, joining when I did lets me see how big a family I belong to, the RSC. What is your favorite part about being involved in the East Coast Section? Holding meetings and allowing for a venue where members can meet and spend time with each other over dinner, and listen to a presentation, as well as the social aspect-excellent food in grand wonderful settings. A large number of our members came from abroad by themselves, just like myself, so the RSC allows for us to gather as a family of say British ex-patriots, amongst others from other countries which adds to the international nature of our society. To learn more, read Kishore Bagga’s article in Chemistry World, find upcoming events on the Facebook page, or visit the RSC membership website. We hope to see you at a future event! Women in Science Career Panel, from left to right: Dr. Stacey Tobin, Dr. Sadie Wignall, Dr. Stephanie Knezz, Dr. Dimitra Georganopoulou, and Dr. Jen Griffiths. 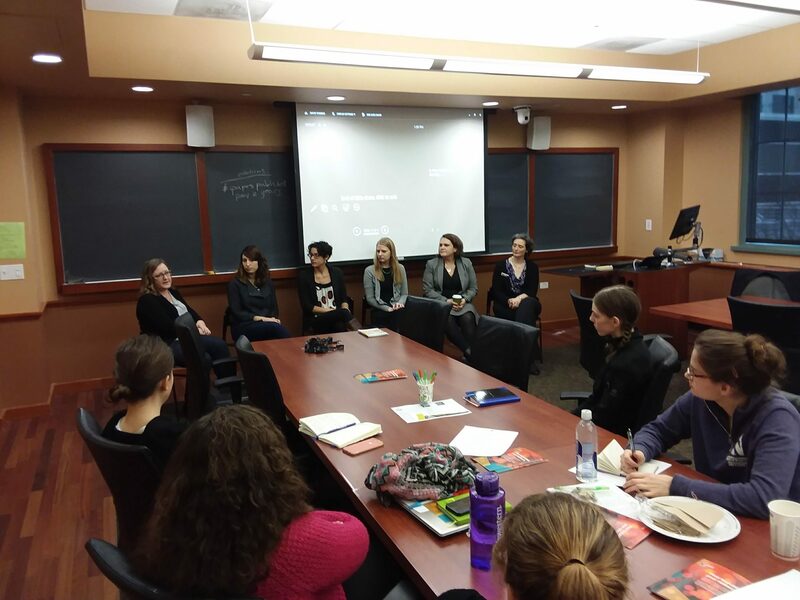 We recently visited the Department of Chemistry at Northwestern University, where we hosted a day of educational activities for graduate students and postdocs, including a career panel of women in science who chose to follow a range of traditional and alternative career paths. Dr. Jen Griffiths from our Washington, DC office shared insights into the world of scholarly publishing and was joined by Northwestern alumni in traditional and non-traditional careers. During this engaging, informal session, attendees were able to ask questions, learn about challenges and opportunities the representatives had encountered, and hear some great advice and tips from successful women in science. Dr. Stacey Tobin noticed that unlike a lot of her peers, she really enjoyed writing as a graduate student. “I realized fairly early on that an academic career wasn’t for me, and I started seeking out seminars and roundtables on ‘alternative careers,'” she said. “One focused specifically on science writing, and the entire panel was made up of PhDs who found careers in various types of science writing—from journalism to regulatory writing, continuing medical education to advertising.” She also joined professional organizations as a student member, including the American Medical Writers Association and the Council for Science Editors, to take advantage of their educational programs and sought outside opportunities to write. “I contributed articles to the department newsletter, and took any opportunity I could to write and edit.” Stacey built up her reputation as a skilled writer and knowledgeable scientist before starting her own firm, The Tobin Touch. One common thread of the discussion was the importance of pursuing opportunities outside the lab to both discover interests and talents, as well as to gain practical experience. Dr. Stephanie Knezz, Assistant Professor of Instruction and Co-Director of General Chemistry Laboratory at Northwestern University says, “When I discovered that I wanted my career to focus on teaching, I found my campus program that focuses on STEM teaching opportunities for graduate students and post-docs. I was able to implement a project at a local community college “flipping” a traditional chemistry class and working on the corresponding curriculum development for a few lessons in the course.” She says that the experience not only gave her a better idea of the duties of an instructor and but also inspired a renewed motivation to continue her degree now that she could focus on a specific career goal. When you think about Natural Products, South/Central America are places that come to mind. 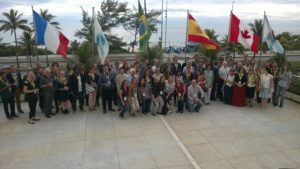 The 6th Brazilian Conference on Natural Products was the place to be to discuss new trends in the field. 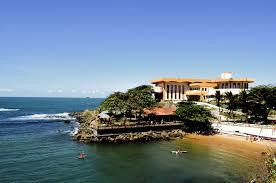 In the beautiful City of Vitória, Espirito Santo State in Brazil, the conference venue welcomed more than 600 attendees just next to the sea. A warm and spectacular atmosphere. 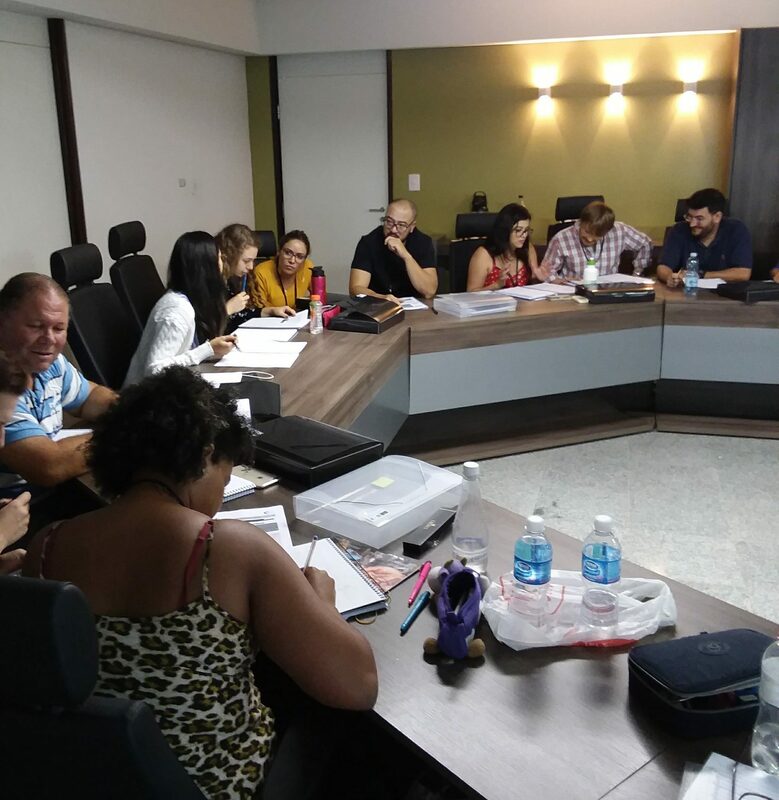 Elizabeth Magalhaes from our Brazilian office attended and was happy to be able to engage with diverse mix of Brazilian and international speakers, who discussed great themes, including mass spectrometry applied to natural products, as well as biosynthesis. 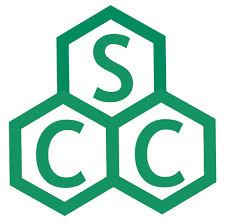 RSC has many related journals, including Natural Products Reports, Organic & Biomolecular Chemistry and our analytical journals, Analyst and Analytical Methods. We also have book collections on natural products and organic chemistry. RSC is proud to have sponsored the event and improve our engagement with the natural products community, who contribute to solving global health issues, such as Zika/Dengue viruses, ecology and drug discovery. Natural products also have an important role in agricultural issues. 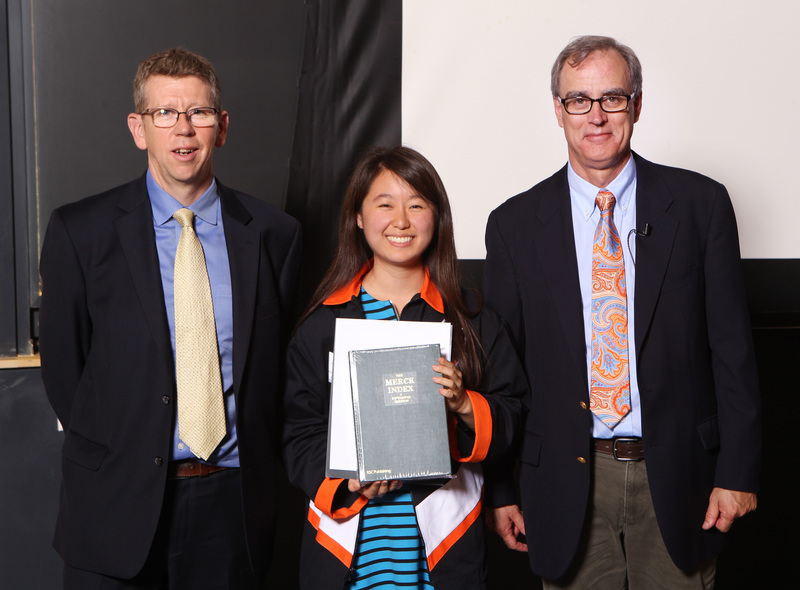 As a sponsor, RSC presented three poster prizes chosen from two sessions. We awarded an RSC Advances open access voucher to Prof Miriam Falkenberg (Federal University of Santa Catarina) for her work “Molecular networking and spectral techniques for isolation and structure identification of compounds from seaweeds” (co-authored with Satomy A. Kami, Maria Gabriela A. Barros, Ana Cláudia Philippus, Gabriele A. Zatelli, Lucas F.O.Vieira, Louis P. Sandjo, Lorene Armstrong). 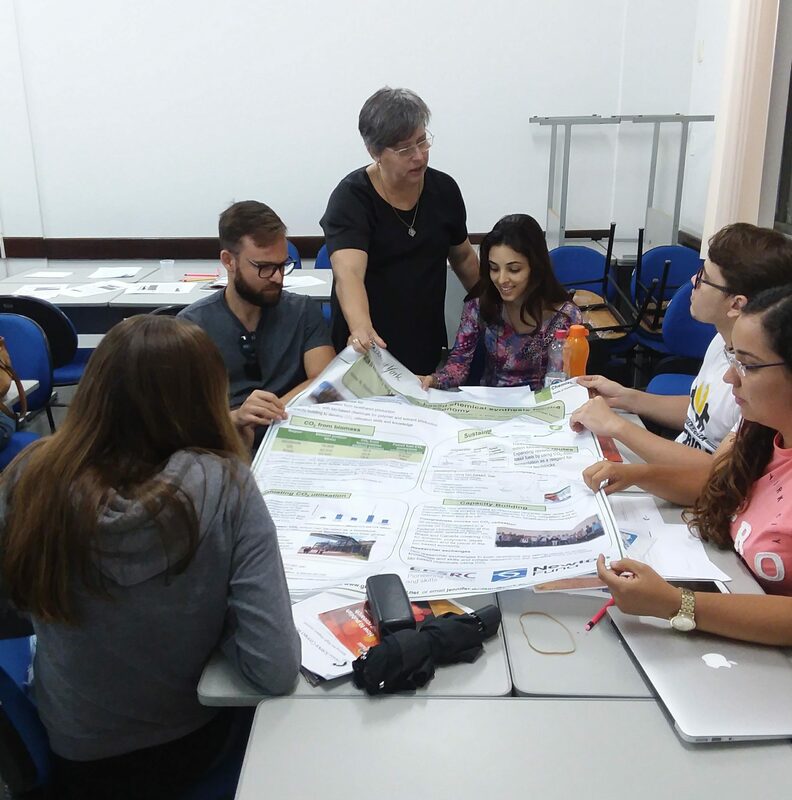 We also awarded prizes to Prof Cláudia Seidl (São Paulo University at Ribeirão Preto city) on bioactive compounds identification and to Edileuza Bezerra de Assis (a student from Federal University of Paraíba) on multi-hyphenated techniques. Congratulations to all the winners! 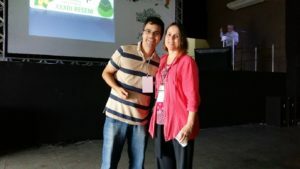 Prof Miriam Falkenberg (Federal University of Santa Catarina) receiving the RSC Advances poster prize from Prof Warley Borges (Federal University of Espirito Santo), the local chair of the conference. These interactive presentations are geared primarily towards graduate students and postdoctoral fellows, but are also valuable to early career faculty and even to seasoned publishing veterans. During the event, a staff member from our office leads the discussion with tips on publishing, all the way from elements of a good cover letter to guidelines for revising your article. But the most important part is having our Editors there to give personal advice and share their experiences around making editorial decisions and common mistakes submitting authors might make. 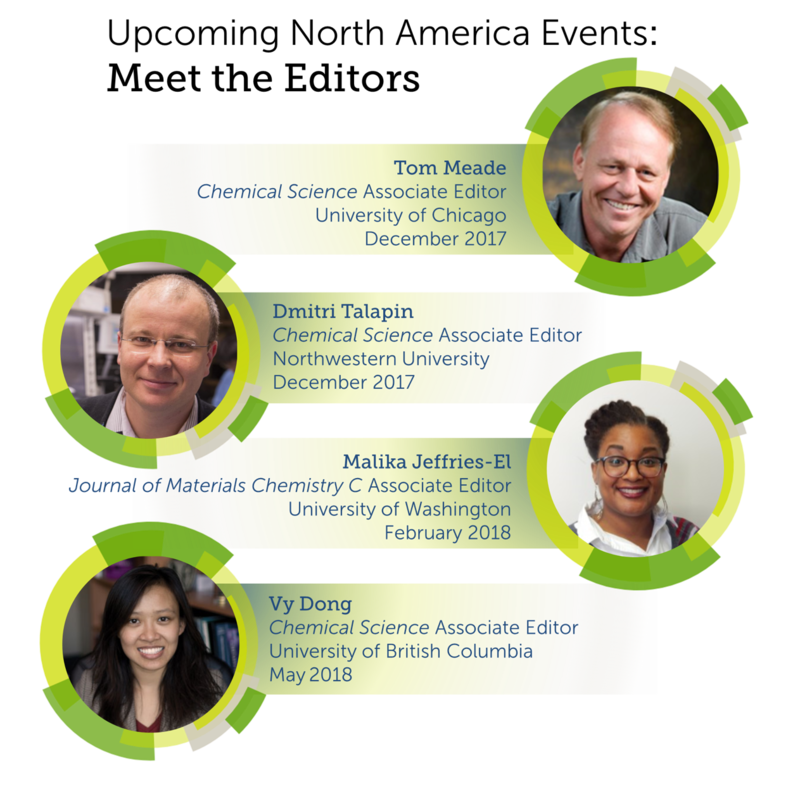 The workshops provide a transparent view into the life-cycle of a manuscript and real insights and tips from our experienced Associate Editors. In most cases, our Editors also give scientific talks in the department we are visiting. The McGill event featured Jean-Francois Masson, Associate Editor of Analyst, and Professor Davit Zargarian, Associate Editor of New Journal of Chemistry, and was included as part of a full Scholarly Communication Day. 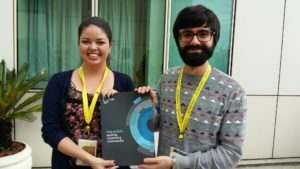 The program took place during Open Access Week, and highlighted the ins-and-outs of the open science movement and included other workshops to help foster and facilitate open communication and collaboration. These included workshops on “Scientific Storytelling” and “Crafting Your Elevator Pitch” as well as a casual “Networking Lunch” where attendees from 5 different Montreal-area schools had a chance to practice their networking skills and meet local peers. Dr. Jenny Lee gives an interactive presentation on publishing in high-quality journals with Prof. Jean-Francois Masson and Prof. Davit Zargarian at McGill University in October 2017. During the Columbia event, we were delighted to have Professor James McCusker, Associate Editor of Chemical Science share his helpful insights from his editorial experience. Professor Sanat Kumar, Associate Editor for Soft Matter and Professor Alissa Park, who serves on the Advisory Board of Sustainable Energy & Fuels as well as an Associate Editor of the ACS journal, Energy & Fuels, also chimed in to give a diverse range of editorial viewpoints. Professor McCusker also gave a scientific talk and we presented an overview of careers in publishing during this visit. We are already planning several upcoming Meet the Editor events around North America and hope to have even more to come. If your department is planning to host an RSC Associate Editor and would like to include these activities, let us and the Editor know you would like to add a time for us to give a talk or informal lunch discussion with tips on publishing! Contact our Americas team (americas-editorial@rsc.org) for more information.